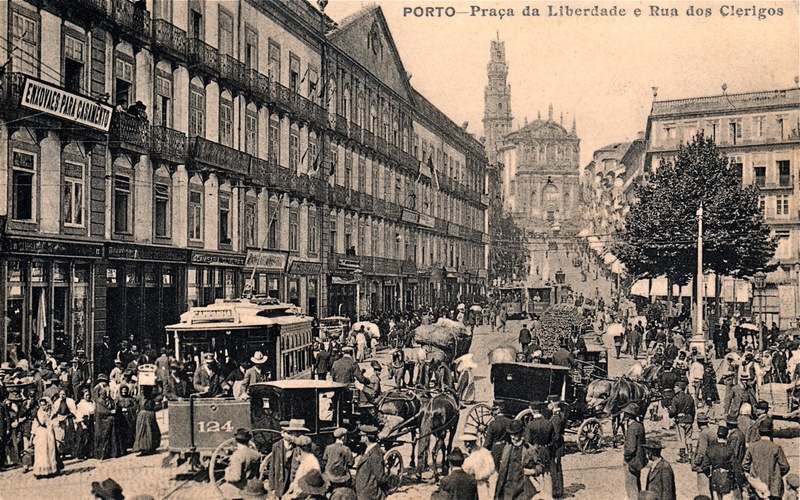 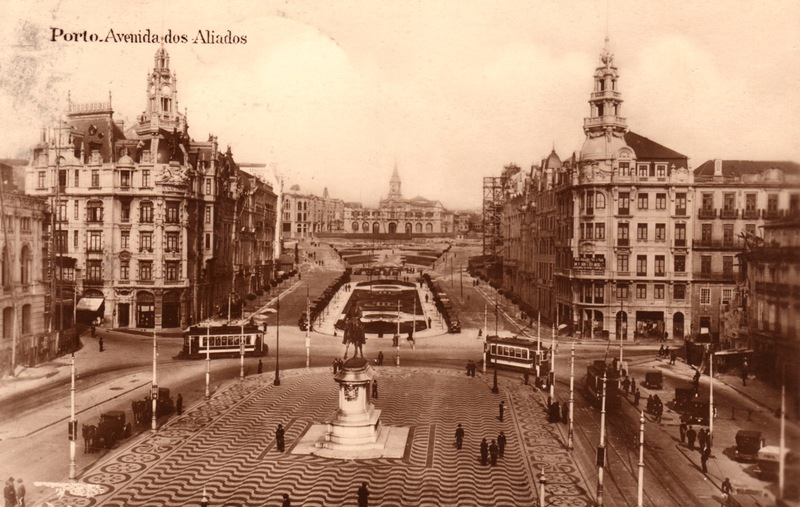 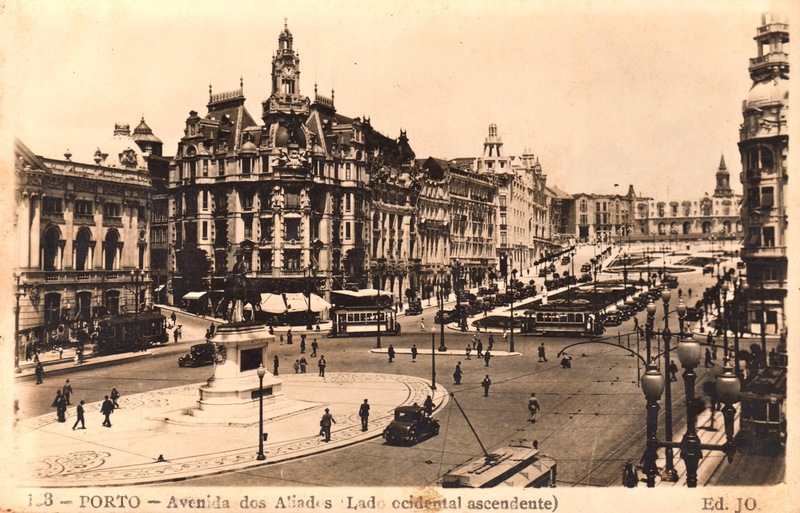 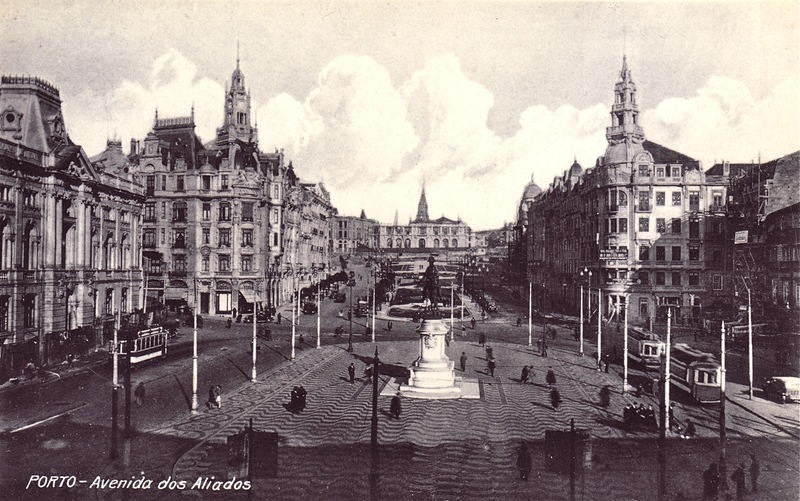 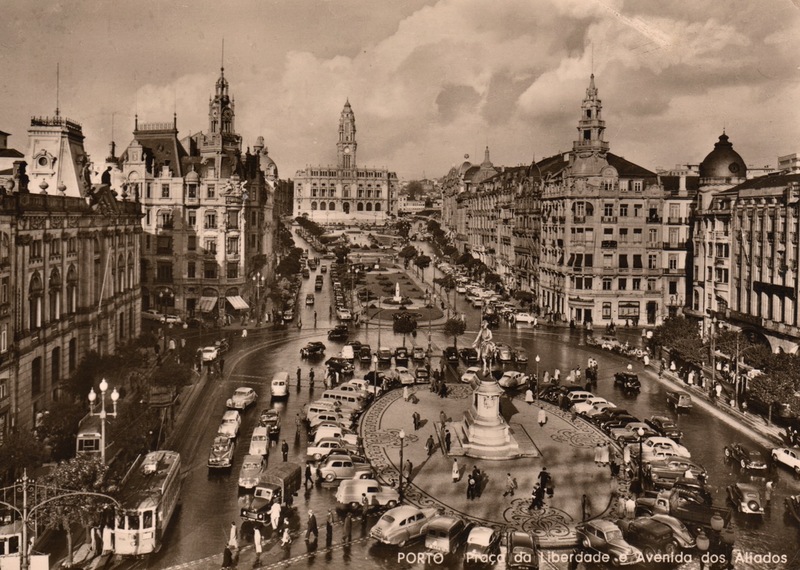 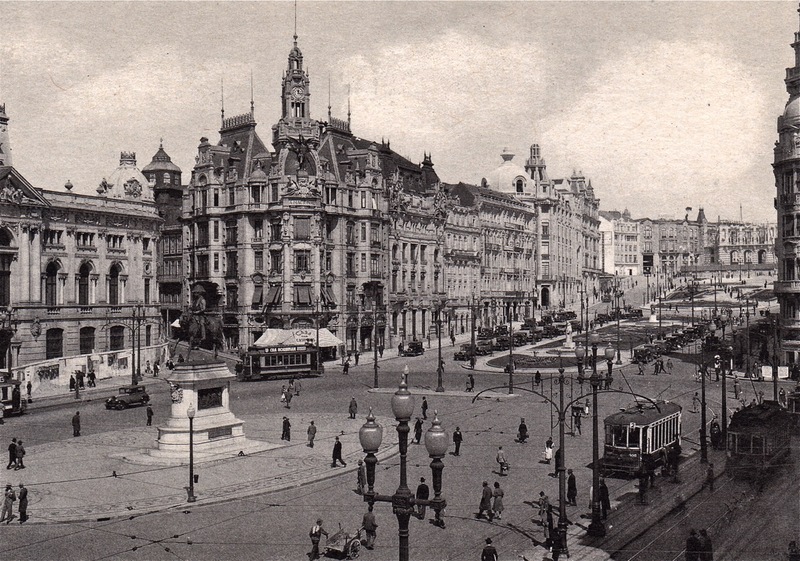 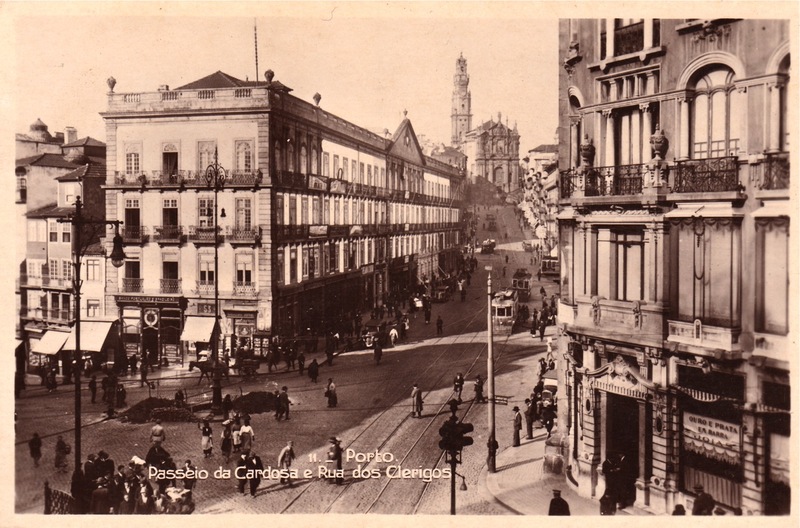 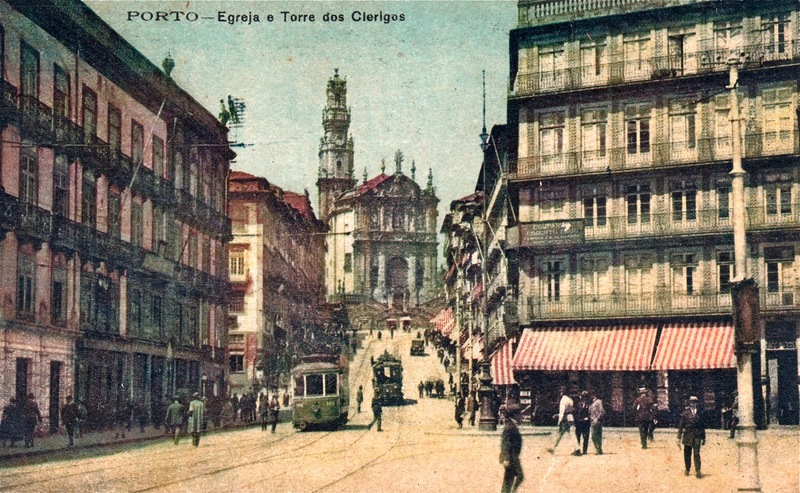 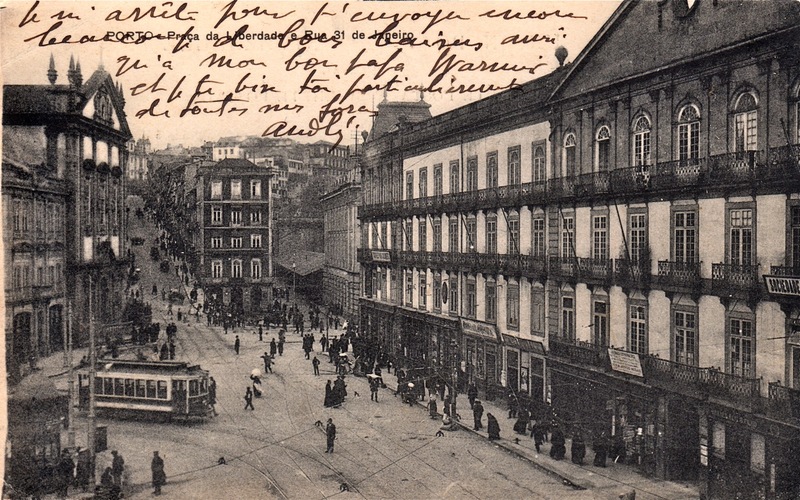 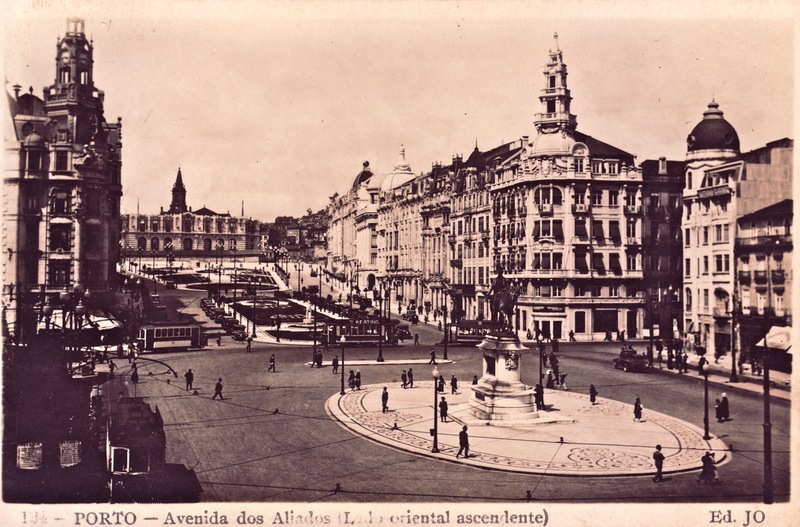 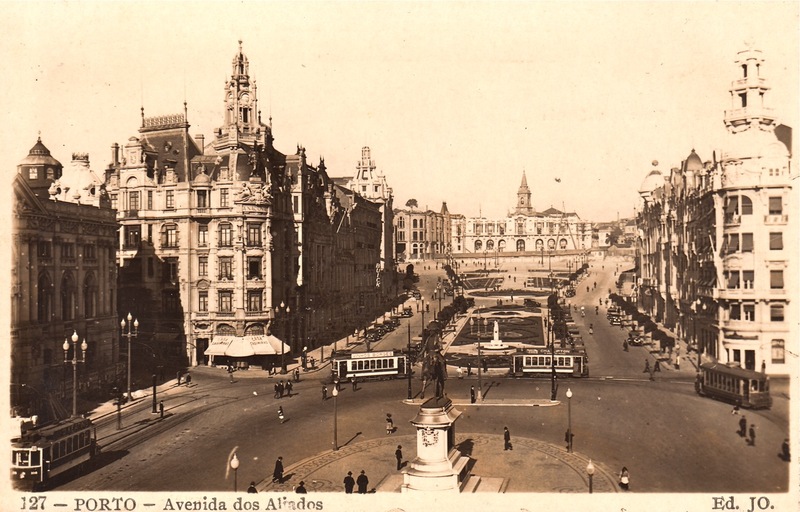 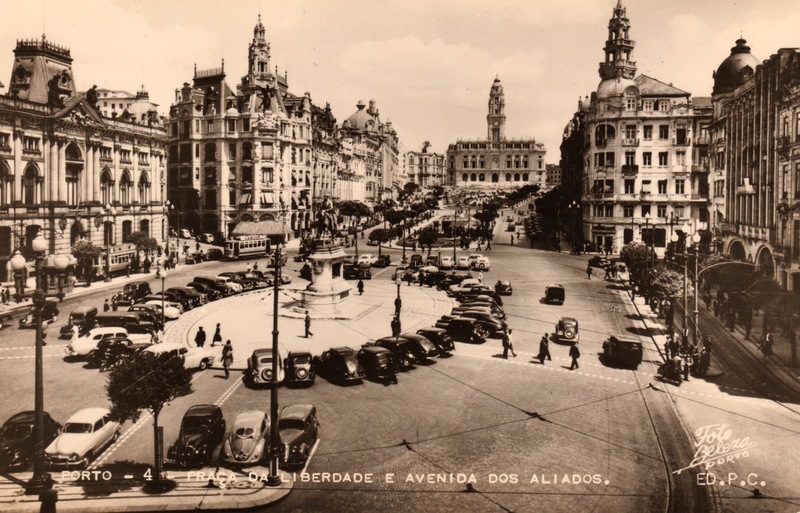 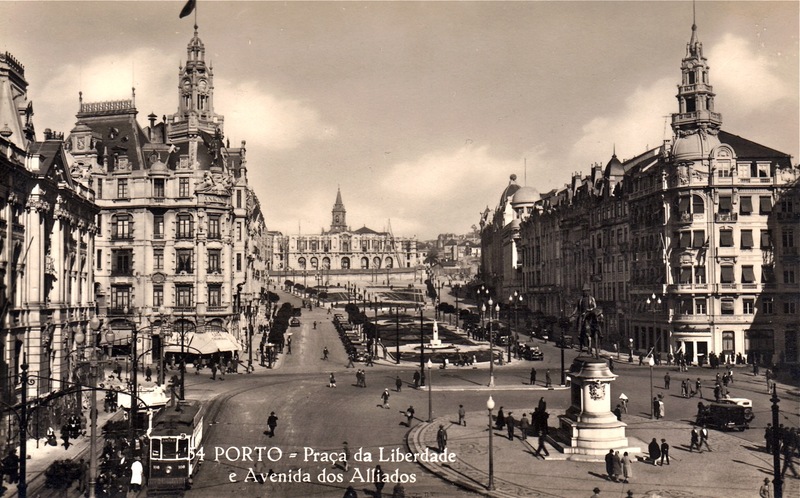 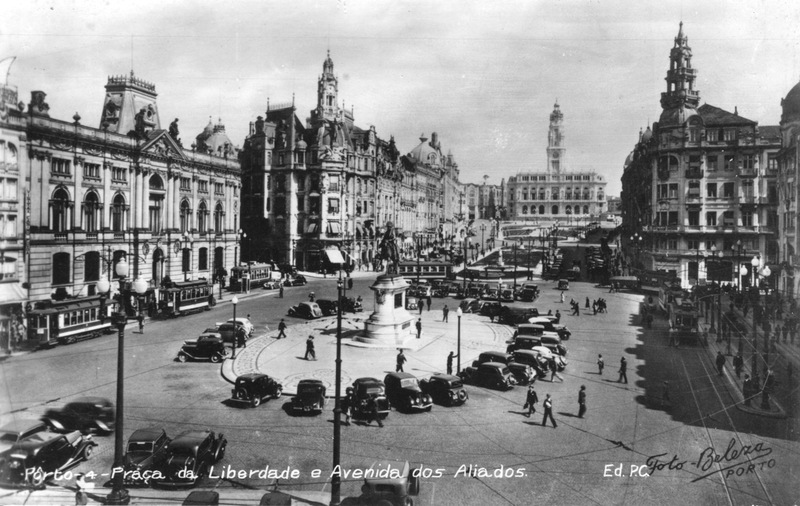 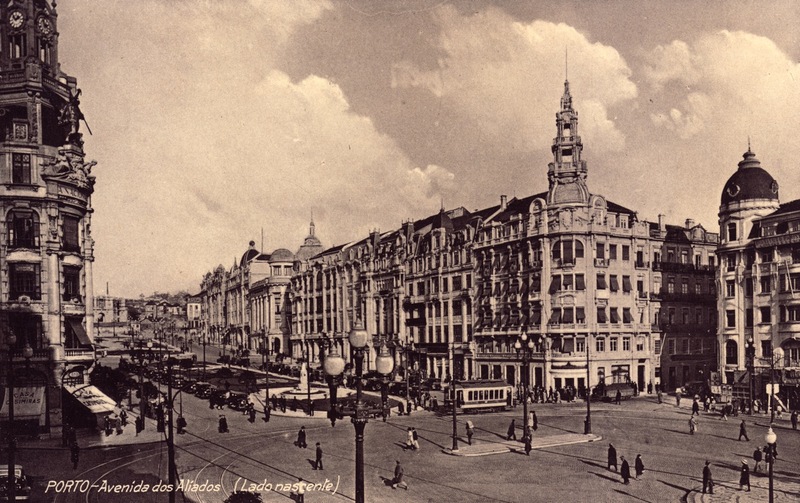 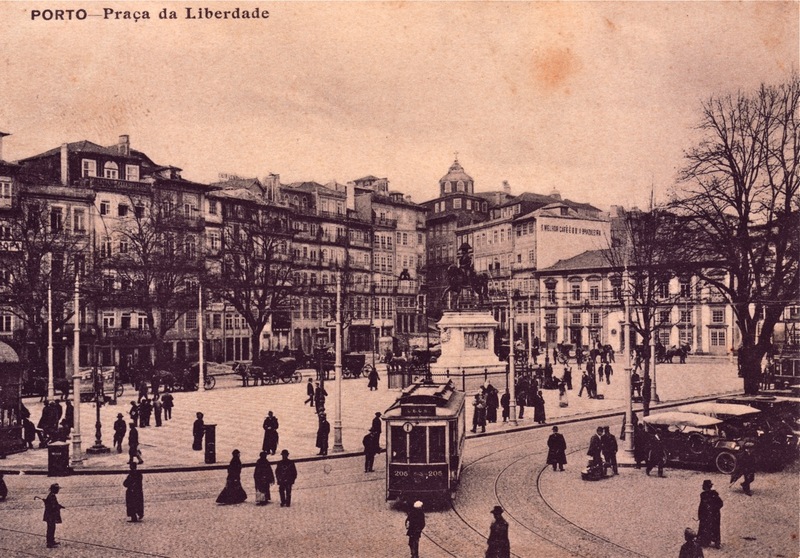 Although the postcard itself says Praça da Liberdade, the photo was likely made before the 1910 revolution changing Portugal from a monarchy into a republic. 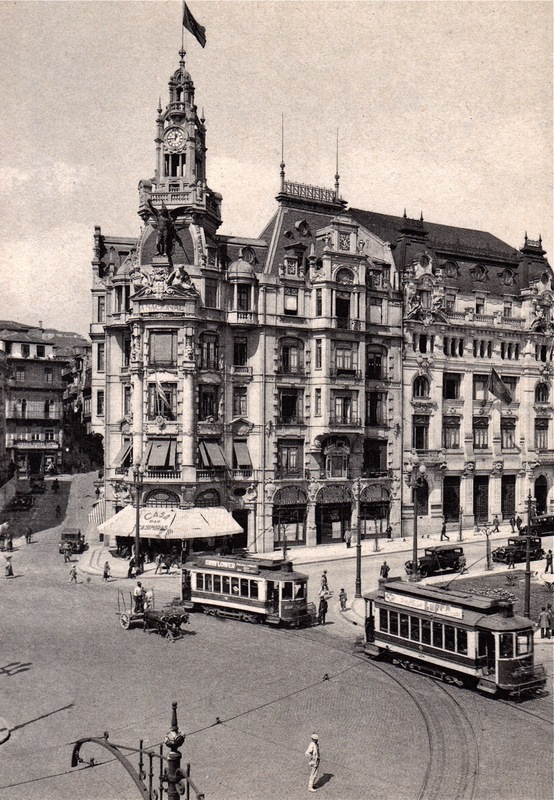 All trams of the photo are of pre-1910 types. 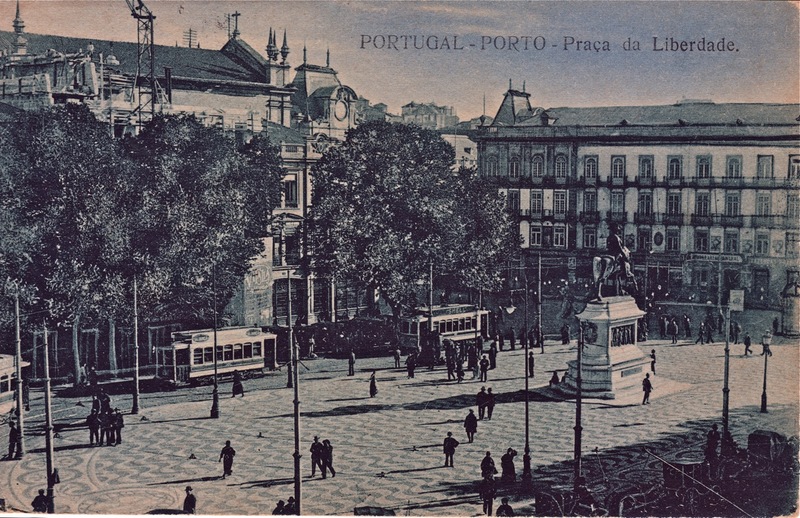 In the foreground is 124, a former mule tram. 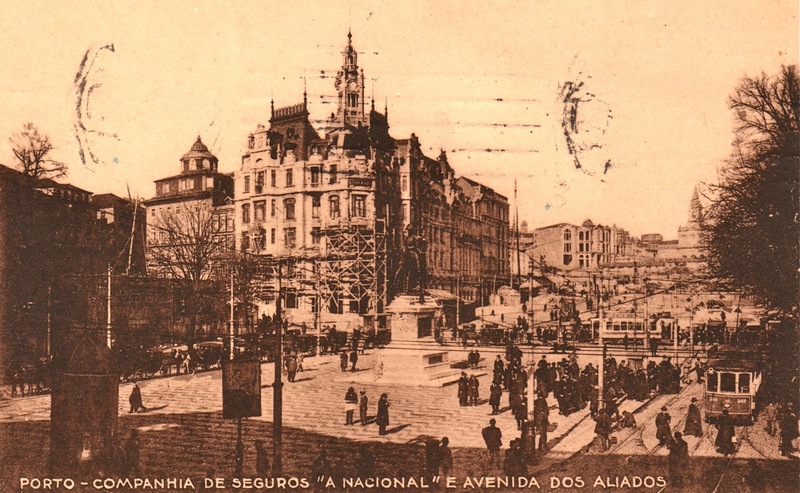 In the background are 123 and another, maybe 118. 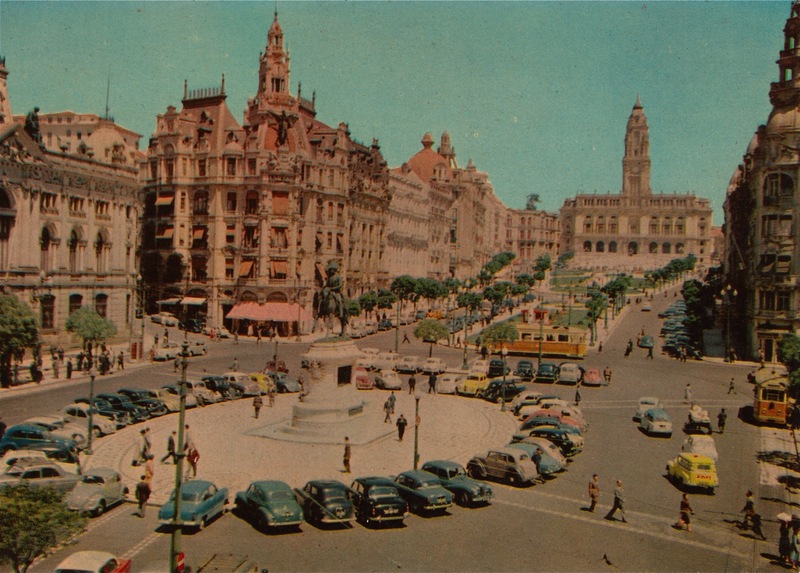 At the left is the Palácio das Cardosas, in the background the Rua dos Clerigos with the church and tower of that name.